As difficult as it can be to leave tasks in the hands of others, it is critical to your success as a leader. You must trust your team. Remind yourself that your team members are fully capable, or you wouldn’t have hired them. When you have the urge to check in on their work, resist. Micromanaging is a clear sign of mistrust and if your employees feel that you don’t trust them, they will have no incentive to work hard for you. As a leader, you must be an effective communicator. It is part of your role. Communication entails timeliness, clarity, and effectiveness. Make sure you communicate in a timely manner consistently. That communication should be clear and effectively relay your message. These communication opportunities occur all of the time throughout the day. Clear communication is important via email, face to face and more. One of the most common issues faced by new leaders is the inability to delegate work. The best leaders understand how to delegate tasks to their team members. They know each person’s interest and skillset and delegate work according to that. For example, when you know you have a team member who loves to write and is good at writing, any writing-intensive project should be delegated to them. Not only does this put your best employee in the right position, but it also lifts them up as well. Sometimes you will have to take a chance in your delegation and you will find employees with skills you never knew they had! As a newly appointed leader in your company, you will inevitably face challenges. Some aspects of the job will come easily to you while others will evade you completely. The three challenges above are some of the most commonly faced by new leaders. New leaders tend to distrust their team, not be completely effective in their communication and improperly delegate work. 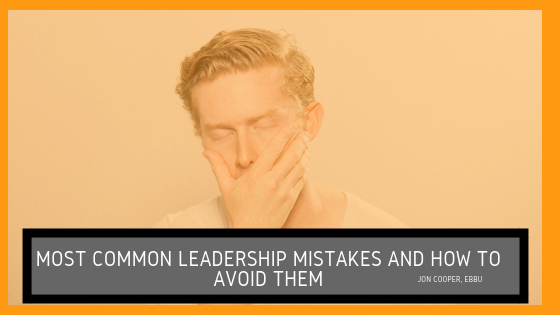 Now that you are aware of these common mistakes, it will be much easier to avoid them!